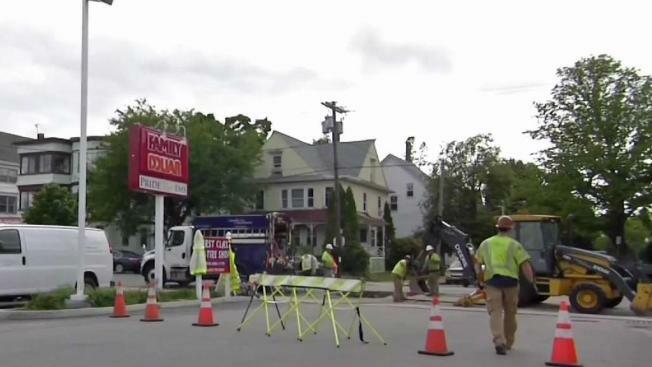 Federal investigators reviewing the September natural gas explosions in Massachusetts want state officials to require public utilities to have a professional engineer approve system upgrade plans. The suggestion is among five initial recommendations by the National Transportation Safety Board released Thursday. The Sept. 13 incident killed one person, injured dozens of others and damaged more than 100 homes in Lawrence, Andover and North Andover. The NTSB suggests a licensed engineer could have spotted critical omissions in the planning of a pipeline replacement project in Lawrence that triggered the explosions. NiSource, the parent company of utility Columbia Gas of Massachusetts, says it's reviewing the recommendations. Columbia Gas said earlier Thursday crews would work on Thanksgiving to continue restoring heat and hot water to thousands of affected residents.